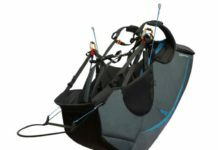 We tested this intermediate EN B glider that offers easy inflation and handling, along with top performance to go XC with peace of mind. 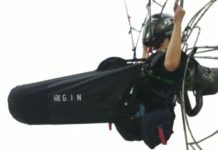 At a time when many manufacturers launch their ‘high’ EN B gliders, Swing introduces a new member of the family in the B-B class, reclaiming easy progression and accessible performance. The Sensis is positioned between the Arcus, for “novel pilots”, and the Mistral, “high EN B”. 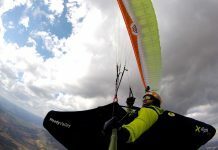 A glider for progressing and much more: Compact, solid and –above all– easy to fly, that it turns, climbs and glides brilliantly despite what its moderate real aspect ratio of 5.23 suggests. 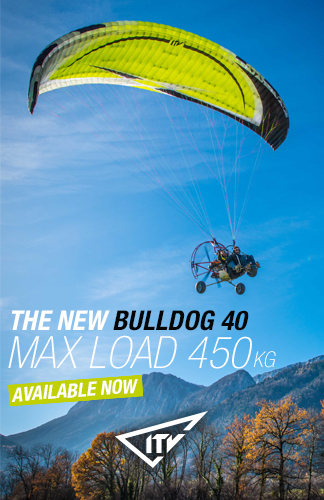 The first impression when we open the paraglider and do a quick checkup is that it is well finished, robust, and it has all the modern design features: rods on the leading edge, shark nose, line attachments every three cells, mini ribs and pleating on the trailing edge… It even comes with all lines sheathed, a feature that shows the concern of the German manufacturer to offer an all-terrain and durable paraglider. The behavior of the Sensis during inflation and ground-handling is docile and manageable. The wing responds gently to inputs on the risers, somewhat slowly and with predictable movements, so you have time to understand what it is happening to make timely corrections. This quality is interesting for progressing, as you gain control and security. During the ground phase, with the wing over the head and even during the first part of the take-off run, the Sensis pulls softly from the pilot, allowing you to control it in a comfortable way. Once airborne the set gains aplomb and solidity, with a good sensation of lift while keeping a soft touch overall. It is a glider that draws precise lines, and it also has a wide and controllable range of turn. The brake travel is rather long, very gradual, and not physical. It is not an acrobatic glider, but you can learn how to make spirals and wingovers with it. The brake is soft but effective. The Sensis has a particularly clean trailing edge thanks to the miniribs and the pleat in the brake system. One of the most rewarding flights I did lately was with the Sensis, in the late afternoon, taking advantage of thermals that were so soft and scattered that made it very satisfying to climb and stay in the air for a couple of hours, with several long glides to put it to test. The Sensis sails efficiently with a very good glide ratio, solidity, and a fully usable speed range. The start of the turn is progressive; you can regulate the angle and speed without taking the Sensis out of its safety margins. It has good sink rate and absorbs the turbulence well. It is a stable glider, well-contained on the three axis, rather far from what handling a Sport wing (EN C) feels like. For an average turn we have to apply some 15-20 cm of brake. As we noticed in our flights, the Sensis is an efficient climber and it offers a good glide ratio. 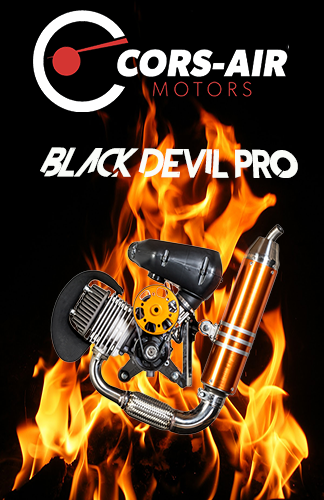 Hands-free we have 38 Km/h guaranteed, along with its best glide ratio that is over 10 points. 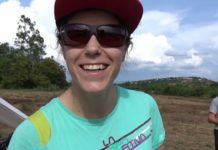 In general, for performance and XC flying it will be advisable to push the bar more and take advantage of the full potential of the speed system to reach some maintainable 52 Km/h, and I say maintainable because you can stand on the speedbar as if it was the stirrup and keep the course with the body weight, handling with the rear risers in “2-line” style. 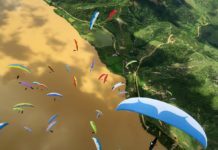 It is an interesting feature for performance flight; moreover, flying the Sensis is not difficult or disturbing, so you will very likely learn to take the most of it in a short time. 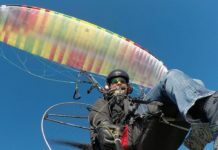 Perhaps the strongest point of this glider, even more than the turn or glide ratio, is the safety and comfort that conveys. The Sensis is an EN B wing that, besides responding very well in the approval tests, absorbs the turbulence well and providesmild reactions in all axis. Asymmetric collapses are generally undemanding and tend to reopen on their own; you can use big ears, and the wing can bear a lot of brake. 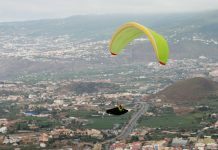 Within reach of most pilots as second glider, the Sensis has smooth handling with mild responses in flight. It is an interesting wing for anyone who wants to progress on his/her flights, but without sacrificing the least in security and peace of mind. It is a robust glider, designed for intensive use. 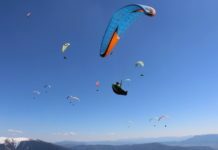 Just keep in mind the glide: If you come from a basic wing the gain in glide can be disconcerting; with the Sensis you will have to rethink your landing approach and the way you understand XC. 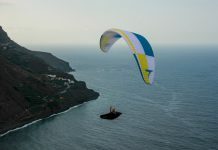 The Sensis is a tranquil glider, well built, and one of the few in its class that offers good performance while using fully sheathed lines, which also makes it robust, although in return it has a weight of 6.5 kg for size M. Faithful to its ‘EN B spirit’, it offers easy inflation and handling. 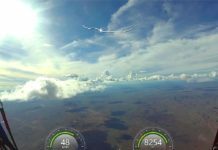 Besides, it is also an effective glider for thermalling, with a glide ratio of over 10, which allows the pilot to consider any XC challenge with the confidence of a good safety margin and high stability in flight. The +: Well-natured and efficient wing. Next articleSeiko Fukuoka beats female record of distance: 402 km!